Following the highly-anticipated release of his debut album1 release last fall, San Holo embarked on a jam-packed slew of dates, hitting just about every state in the country. Now the bitbird label head is cooking up a whole new phase set for spring 2019. With so much word-of-mouth excitement surrounding his career-defining tour, Holo thought it only fair to touch down in the cities he glided past previously. 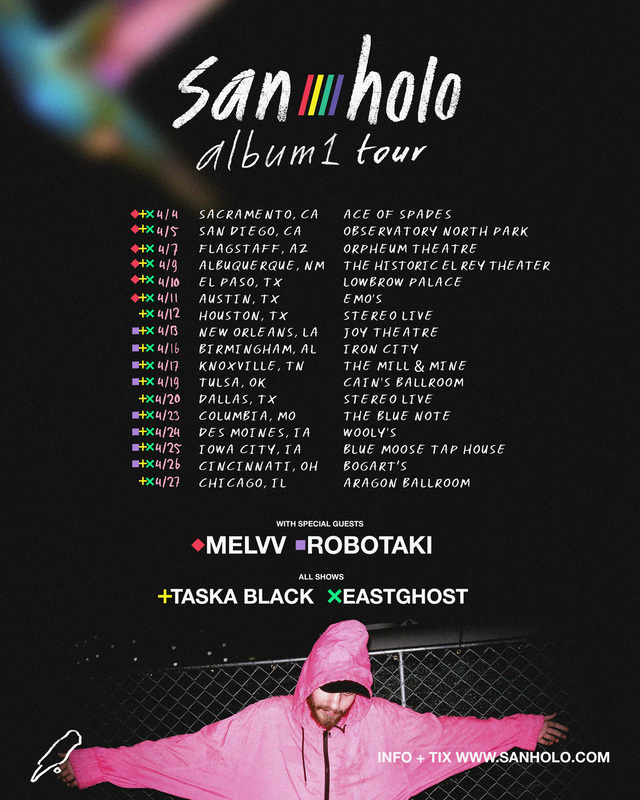 Kicking off early April in Sacramento, and ending in Chicago in the same month, San Holo will be joined by a supporting cast of old and new friends alike, including Robotaki, Melvv, Taska Black, and EASTGHOST. Tickets are on sale now on San Holo’s website.